When I talked about the Ina Garten booking signing last week I told you the staff at Williams Sonoma fed us what I thought was creamy mashed potatoes turns out we were sampling the Barefoot Contessa’s Celery Root Puree. Ever since I got her book I have been cooking almost every night which is a big change for me. Its’ all part of my getting back to basics plan and I’ll admit my family is a little burned out on delivery pizza. In the store they look like something you throw away. Just a few green stalks attached to its massive root ball. You are going to need 2 large root balls (about 5lbs). 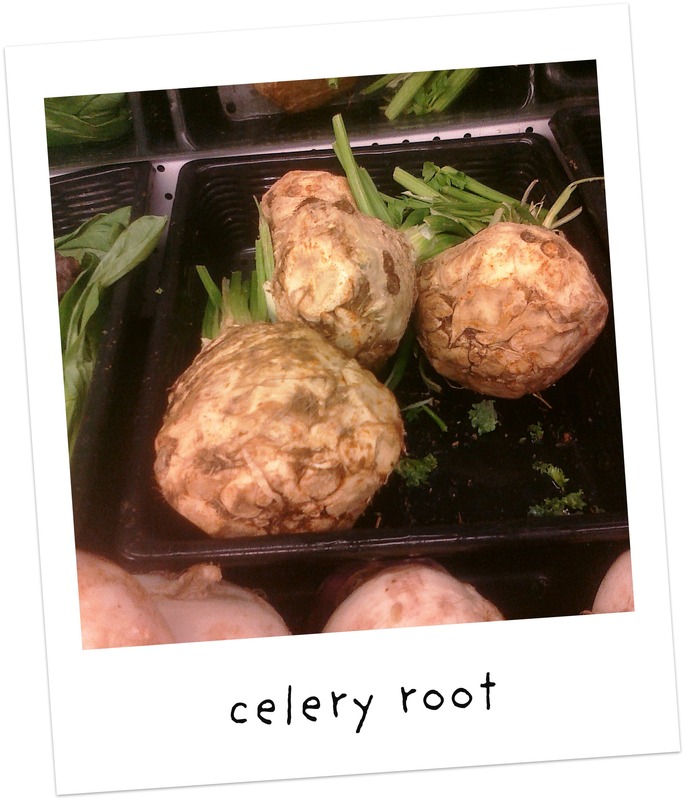 Celeriac or celery root is actually a type of celery, its only grown for its root and unlike other root vegetables it contains only 5-6% starch. It can be keep in the fridge for up to 4 months. 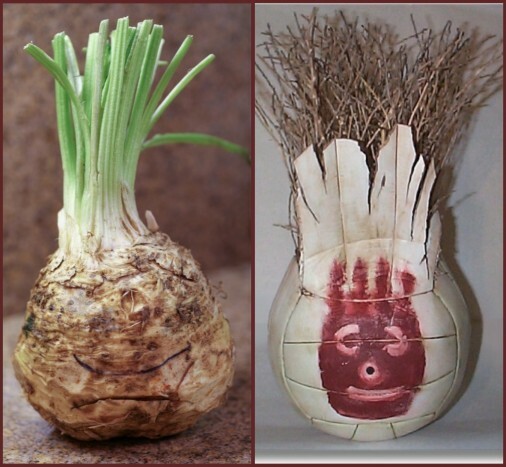 My son said it looked it looked like Wilson… I have to agree there! This recipe couldn’t be easier. 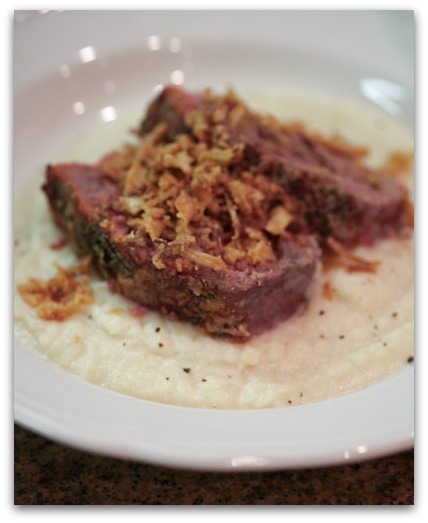 It is the perfect comfort food for those cold nights. I lovingly referred it to my new favorite baby food as I polished of mine and then continued to eat everyone else’s. Hubby thought he has getting mashed potatoes and high fived the table when I informed him he was actually eating a vegetable. Dinner was so easy, I bought a premade meatloaf and served it sliced on top of the puree, tossed a salad and I created a dinner for 4 under $20 bucks. 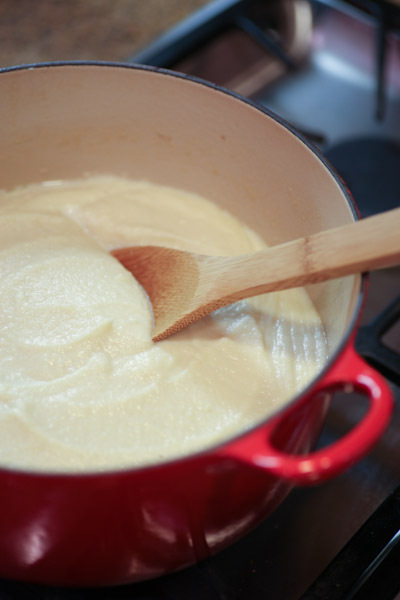 modchik recipe tips: if you are using a taller pot (like my 5qt I used) cook the root longer and stir occasionally to make sure it cooks evenly) Don’t worry if you see the cream starting to curdle (get clumpy) it doesn’t matter once you puree the mixture. You could also puree in a blender if you don’t have a food processor. 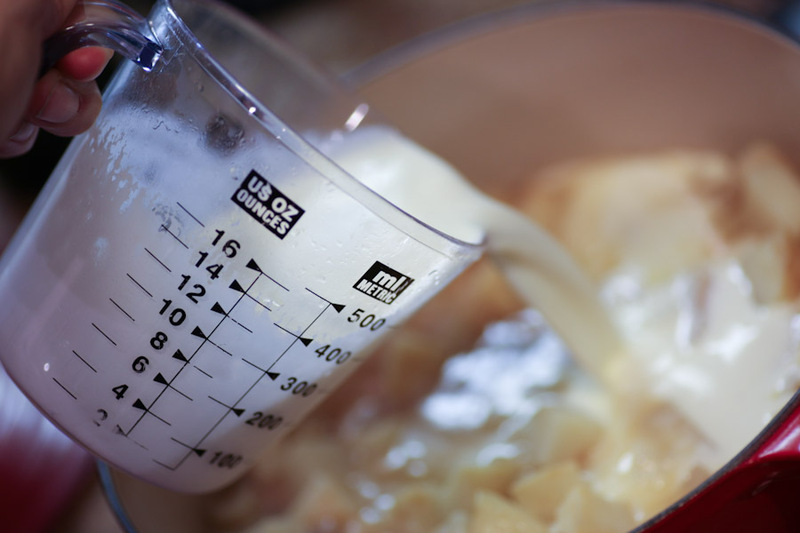 Melt the butter in a large heavy-bottomed pot over medium-high heat. 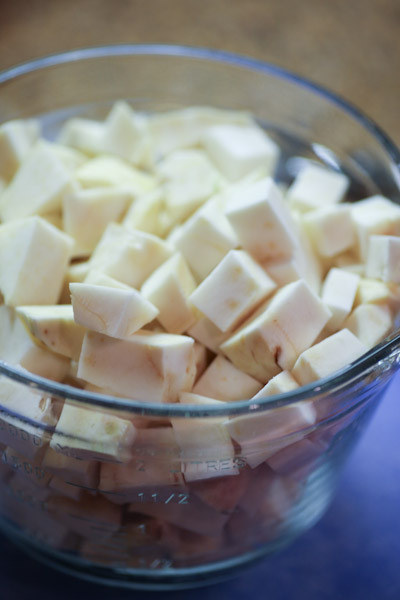 Add the celery root and sauté for 3 minutes, stirring to coat with the butter. Reduce the heat to medium-low, cover the pan, and cook for 10 minutes. Add the chicken stock, cream, salt, and pepper and bring to a boil. 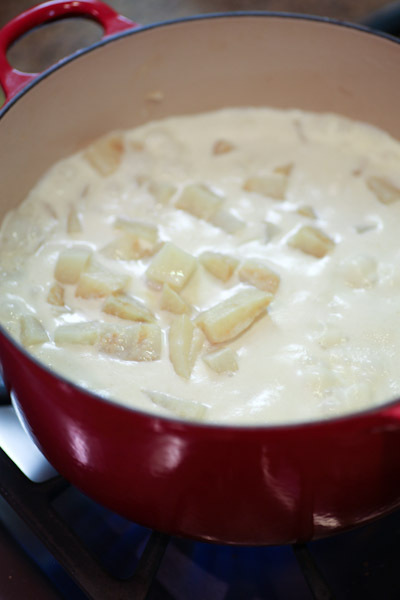 Lower the heat, cover and simmer for 15 to 20 minutes, stirring once, until the celery root is very tender. In batches, transfer the mixture to a food processor fitted with the steel blade and puree until smooth. Return the puree to the pot and reheat gently over low heat. Check the seasonings-it should be very highly seasoned-and serve hot. click here for the recipe download. Wow – I had no idea it was that simple of a recipe. It tasted like Williams-Sonoma had slaved over it for hours upon hours. Ina’s cookbook IS so inspiring! I too have been cooking every night. I’ll send you a photo of my creation tonight. Speaking of which, what is Modchik making tonight? Made this for New Years dinner my friends whom traditionally won’t try new things not only had seconds but took the leftovers home. Yum! Note subbed evaporated skim milk and used 2/3 broth to milk to lighten the calories. ah Jacquelyn what a good idea, I need to start shaving down calories off these savory dishes or be forced to buy new pants. Thank you for taking the time to share your thoughts, its funny this recipe gets a lot of hits everyday it still amazes me. I really love this dish too! This is the first recipe I’ve seen that actually browns the celeriac first. Bet it really brings out the flavor. Planning on trying it soon. (Shaving off those ‘cream’ calories is a much smarter way to feed our loved ones). I have seen this root in my local market while living abroad in Turkey. But I had never tried it. I used your recipe and realized, I have been missing out. It was awesome. So good in fact. I’m bringing it to our thanksgiving dinner we are having here.